Armed with quick wit, years of professional experience and more get-pretty tips than a beauty pageant coordinator, Susie Galvez is an internationally-known beauty expert and a leading consultant in the spa industry. The founder of a day spa in Richmond, VA, Susie is an esthetician, makeup artist, cosmetic product formulator, and author of 8 internationally launched books on beauty and lifestyle. Susie is a frequent speaker at international spa conventions and has been featured on radio and TV programs around the nation, as well as in publications such as Allure, Elle, Good Housekeeping, Fitness, Self, Oxygen, Woman's World, Health, Boomer Life, as well as several international publications such as The London Times, among others. Inspired by the thrill she gets from helping women rediscover their beauty on a daily basis, Susie is dedicated to giving women tools to help them accept themselves and realize that each day is another chance to be beautiful, as the international spokesperson for LIFT Skin Care System, by Mannatech, Inc. In addition to her beauty knowledge, Susie is also sharing her love of entrepreneurship by helping small businesses market and brand themselves by concentrating on their public relations programs; redefining operation models; training for customer service and sales; creative and effective collateral materials/website/blog copy; developing new product offerings; executing social networking outlets; and media spokesperson for company pr. She also is the Co-Host of "Girlfriend We Gotta Talk!" Radio show on Richmond's WLEE 990 AM Talk Radio, each Sunday at 3 PM EST. 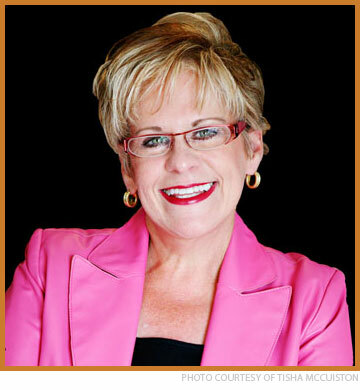 Susie received the National Association of Women Business Owners (NAWBO) award of "Member Of The Year for 2005. She is a member of Cosmetic Executive Women; Society of Cosmetic Chemists; National Association of Female Executives; Network of Enterprising Women; National Speakers Association; American Business Women's Association; and the American Pen Women.